Sam Greene studies at the Univesity of California, Berkeley. He joined the journalism program at Palo Alto High School in 2008 and has been writing for himself and professional publications ever since. While working with the Viking Magazine he enjoyed polishing and buffing up its array of award-winning pieces. With his free time he follows artists, practices medicine, blends smoothies and climbs mountains. 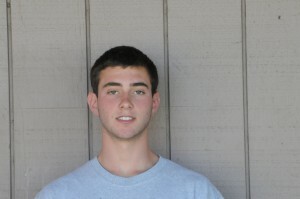 In his soccer career he played for Palo Alto Blue 93B State Champion team and Nationally renowned soccer club. With his free time he familiarizes himself with stringed instruments and trains for triathlons. A dedicated Sharks fan, Sam bleeds and teal and sees his team clinching the playoff in his lifetime.